Dalarna is a sparsely populated region in the inland of Sweden. 280 000 people live in the area of 29 000 square kilometers. However the population varies over seasons because of its touristy features that attract millions of tourists. This fact in combination with heavy industries metallurgy (including mining) and paper mills makes the energy issue a top priority. The Swedish government has appointed Dalarna together with Skåne and Norrbotten to be pilot counties for green development. 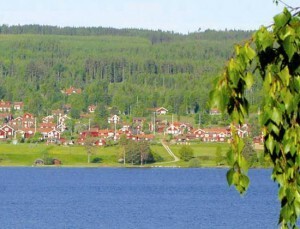 The County Administrative Board Dalarna, comprising 15 municipalities, has worked since 2003 to direct the different sectors of society towards new common energy goals. This work is organized within a cooperation called “Energy Intelligent Dalarna”, where all stakeholders from the energy sector are represented. One of the results of this work is the establishment of energy action plans for the region as a whole and for all the municipalities specificly. Another result is the elaboration of a “Energy and climate strategy” that tells us that the county of Dalarna can become a net exporter of renewable energy in 2050. In the elaboration process the participating parties from all sectors agreed to set very ambitious goals for the region.